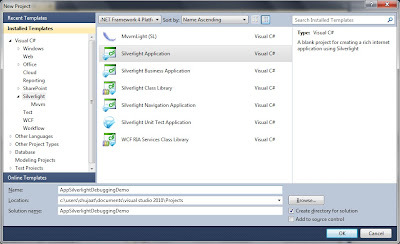 In this post we will be discussing a long desired feature in XAML based applications. 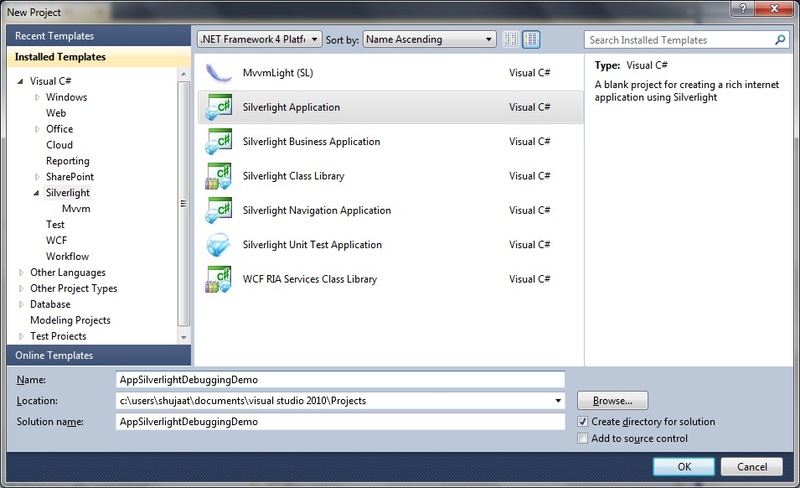 This feature is Binding Debugging specified in XAML. 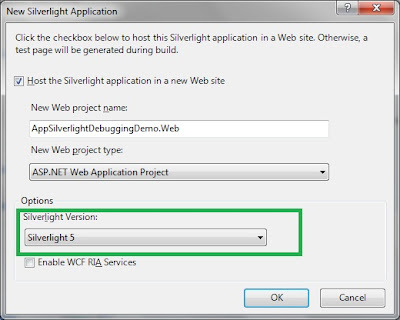 This feature is introduced in Silverlight 5. 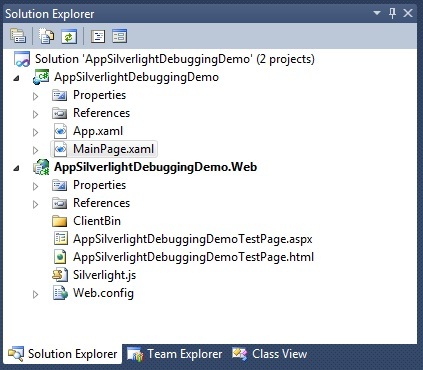 Let's create a sample Silverlight application AppSilverlightDebuggingDemo. 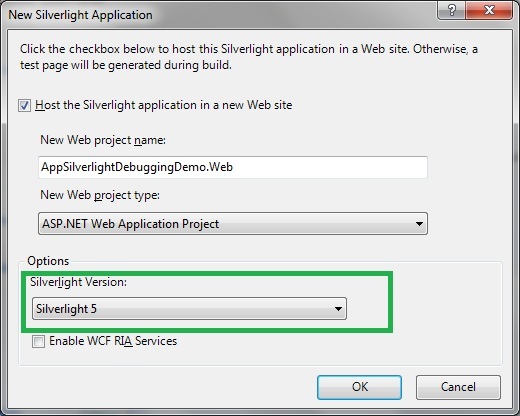 If you have it installed already, the second step would allow you to select Silverlight 5 as the Silverlight version. 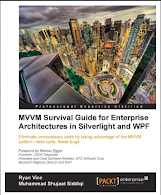 Now we add a view model to the Silverlight project MainPageViewModel. It is a simple view model implementing INotifyPropertyChanged interface for supporting change notification for its properties. 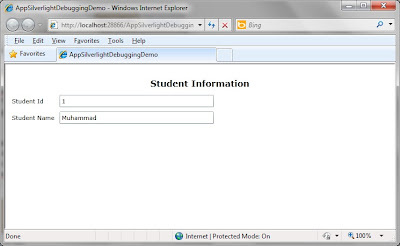 The view model has two properties StudentId and StudentName, setting both would cause PropertyChanged event to be triggered. 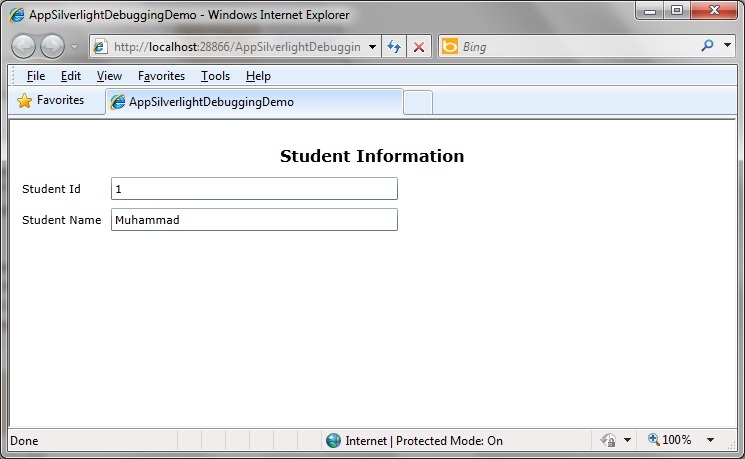 <sdk:Label Content="Student Name" Height="23" HorizontalAlignment="Left"
Now open the view's XAML and try hitting F9 while putting the cursor on each of the bindings. This would insert a break point in the Binding expression. The execution would break at these bindings like a regular break point but the difference is that now this break point has been inserted in XAML. Even I've had a lot of problems debugging in silverlight. Everything I seem to do tends to be rendered useless overnight. It is very frustrating.